Both Volkswagen and Ford Motor Company have confirmed the two are in alliance talks. Those talks may even include the potential sharing of Volkswagen’s new electric vehicle platform with Ford, though the automaker’s CEO says a decision hasn’t been made. 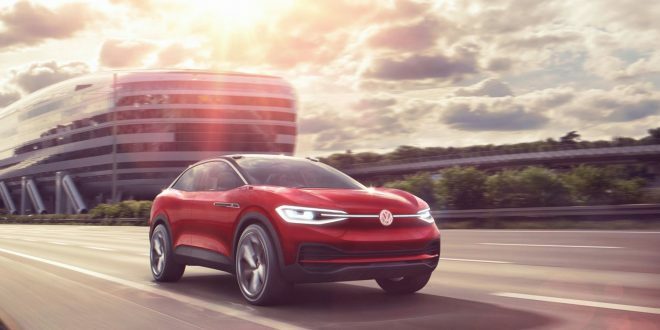 Automotive News reports Volkswagen CFO Frank Witter was asked in a recent earnings call if the company was considering sharing its MEB electric vehicle platform with Ford. The executive stated sharing MEB outside of Volkswagen Group is “theoretically possible,” but the decision to do so is still pending. Sharing the MEB platform would be a significant move on VW’s part. The company plans to ultimately build 10 million vehicles off the first iteration of the MEB architecture, which is slated to go into production in November of next year at its Zwickau, Germany assembly plant. The Zwickau plant will eventually become VW’s primary EV assembly plant. Some industry analysts theorize that MEB could become the most cost-efficient electric architecture in the industry, boosted by significant sales and production in China. This analysis is based on the 27 models VW Group plans to rollout using MEB and, of course, doesn’t factor any partnership production. Given Ford Motor Company has been slow to electrification, gaining access to VW’s MEB architecture and production could be a big win for the Detroit automaker. As of right now Ford has only one mainstream electric vehicle in the works, which is a performance-oriented crossover set to launch in 2020. As vehicles shift to BEVs, automakers are going to have to come up novel ways of differentiating themselves. Batteries will be supplied by a supplier. So far, electric motors seems to provide a delightful but pretty commodity experience. Once every car has crazy torque and response, it'll be table stakes. So, if Ford shares a platform with VW, what will make it feel like a Ford? I suspect that using the same basic ingredients to provide very different driving and riding experiences will be the next big thing. And I also suspect some of those experiences will be new. Given the costs of these, sharing the platform makes sense. This does not mean rebadges, it means different tophats.